Advantages for choosing SMD 5050 RGB module ? What are the advantages of choosing SMD 5050 RGB module? can bring brilliant color, dynamic, muti modes for optic effect. a)SMD 5050 RGB led sign modules adopts high quality imported chip, high brightness, Strong color consistency, good stability and good illuminating effect. b)SMD 5050 led signage modules RGB has excellent heat dissipation, low power consumption, long lifespan and no maintenance, with it can anti- UV, anti-static and anti-corrosion. c)It adopts double-sided adhesive and screw installation methods, which is easy for customers to install and use. d)SMD 5050 RGB led sign modules with epoxy resin sealant, so it is not easy to crack and has IP65 waterproofing grade, can be used in the outdoors for a long time. e)SMD 5050 LED’S drive method is the constant voltage, so if you have a stable 12V power supply, you can freely choose any color of RGB. 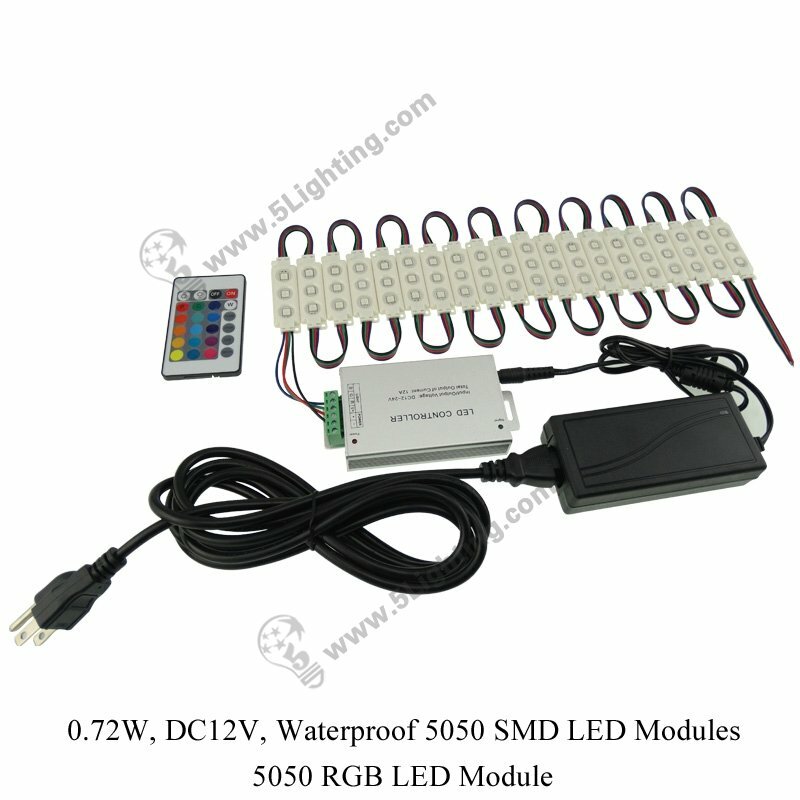 f)SMD 5050 RGB led modules applicable scope: Channel letters, signal lighting, Led lighting box, bar, led landscape engineering etc.